Integrating TigerText with their EHR (Electronic Health Record) platform, clinicians can now make more rapid and informed care decisions. 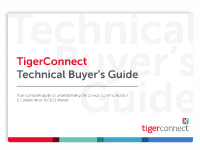 SANTA MONICA, CA (September 23, 2014) – TigerText, the leader in secure, real-time messaging for the enterprise, today announced integrations with major EHR platforms including Cerner and PointClickCare, making it the most widely integrated secure texting platform available. Health care providers are integrating TigerText into their EHR systems to extend the platform capabilities beyond the desktop and provide a secure vehicle for sharing patient information from the EHR to smartphones in a HIPAA-compliant way. Prior to integrating TigerText, Waterbury Hospital – a 357-bed hospital in Connecticut with nearly 15,000 inpatient visits a year and more than 2,000 employees – was using their Cerner EHR on a standalone basis to create and deliver clinical notifications based on patient data in the EHR. However, by integrating TigerText with their Cerner platform, Waterbury’s EHR users can now easily route notifications and patient alerts through TigerText saving time and accelerating response times. With any EHR system, certain data simply cannot be protected in a HIPAA-compliant manner when shared over mobile networks. TigerText bridges this gap as it safely encrypts EHR data including PHI (Protected Health Information) and eliminates security risks. Additionally, TigerText accelerates communication between physicians and nurses by delivering instant alerts so care teams can coordinate and react to patient needs faster and more effectively. By using TigerText for EHR notifications, care teams can make much more informed and rapid workflow decisions. Automated EHR Alerts Delivered Via Mobile – TigerText enables EHR-created alerts to automatically route to physicians’ and other clinician’s mobile devices. 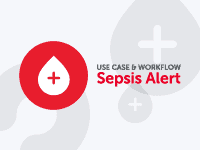 These rule-based triggers alert care teams about critical lab results, vital sign thresholds, consult order notifications, and other critical notifications. HIPAA Complaint Data Transmission – EHR notifications are mobile-enabled and can include detailed PHI without violating HIPAA. 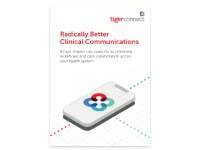 TigerText’s 256-bit AES encryption lets healthcare professionals share patient data with confidence by securing transmissions both at rest and in transit so sensitive information remains protected. Email Forwarding via TigerText – Users can securely forward emails containing sensitive patient information and records from the EHR platform and receive it as a TigerText message directly on their mobile device. ‘Read’ and ‘Delivery’ Confirmations – Users can quickly determine if a doctor has received and read an EHR notification sent via TigerText with delivery and read confirmations, providing significant improvements in workflow efficiency. TigerText is the leader in secure, real-time messaging for the enterprise. TigerText’s encrypted messaging platform keeps communications safe, improves workflows, and complies with industry regulations. Developed to address the security needs, BYOD policies, and message restrictions in the enterprise, TigerText is committed to keeping mobile communications secure, private and impermanent. 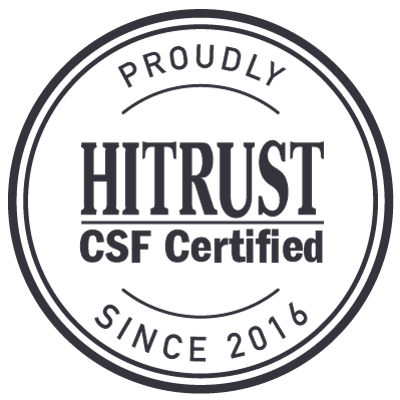 More than 5,000 facilities, and five of the top ten largest for-profit health systems in the nation, including leading organizations Universal Health Services and Community Health Systems, rely on TigerText to comply with HIPAA and replace unsecured SMS text messaging that leaves protected health and other confidential information at risk. For more information visitwww.linkedin.com/company/tigertext, www.facebook.com/tigertext, or www.twitter.com/tigertext.